Old School Football – Better or Worse? Chas published this picture of a game against Leicester in ’71 (which I attended) and it sent me into a land of memories. Better times? No, just different. This entry was posted on Saturday, October 13th, 2018 at 8:11 am and is filed under Uncategorized. You can follow any responses to this entry through the RSS 2.0 feed. You can leave a response, or trackback from your own site. 46 Responses to Old School Football – Better or Worse? I did a bit of sleuthing and, since the original caption for that photo was about Pat Rice scoring, found which game the photo was from. Here’s a link the the game with players and scorers. Your hero scored two! Oooo look, over an hour and a half from the 1971/72 season. Just looking at a few minutes of it, I realised I probably know more players still from then than I do from now! 25th September 1971. 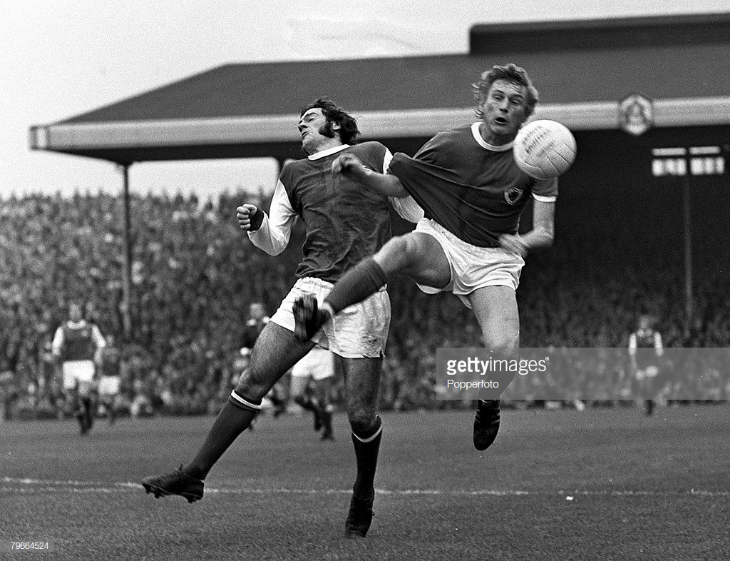 Arsenal and Northern Ireland full back Sammy Nelson, in action against Leicester City. Groomed as the long term replacement for Bob McNab, Nelson would have to wait until 1974 to nail down a regular first team spot. 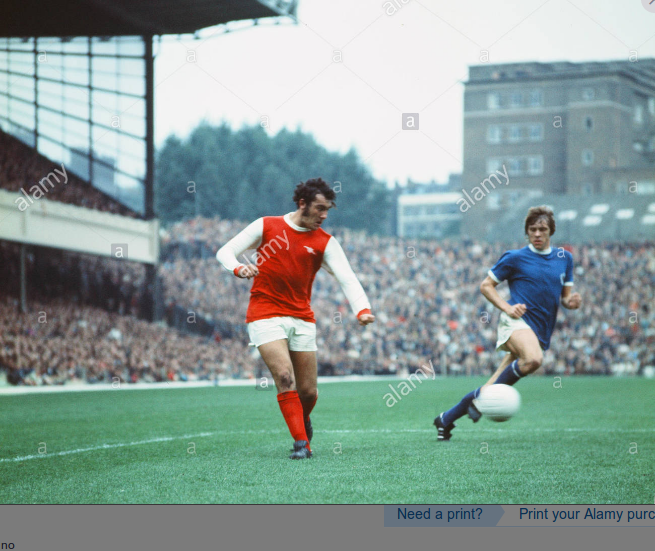 Arsenal footballer Ray Kennedy in action against Leicester City watched by David Nish during their match at Highbury. 25th September 1971. Oooops, I’ve just realised I’ve given lie to the idea that the game was played in black and white!!!!!!!!! TELLY GOLD: Today is the 25th anniversary of a rotten referee ruining Graham Taylor’s night in Rotterdam. I’d say everything about the modern game is better, except the food in the stadium. Give me roasted chestnuts and bovril all day long. Totally disagree foreign poor players are hungrier. England’s yoof teams do well. Iwobi and M-N look driven to me. Looking at Thierry these days makes me think, traitor and back-stabber. Having said that, it will be interesting to see how he gets on as manager of Monaco. Oooo, didn’t realise Patrick was now manager at Nice. I’m with you Grandad, in every way! Just look at those pictures from Chas. Pat Rice and Peter Storey. Limited ability but all heart, soul and, in Peter’s case, studs at waist height! The action shots are better, bodies all over the ground, no poncy coloured boots ( except AB), and the classy, “float over the ground”, movement of Ray Kennedy. Even the memories of rolling around the North Bank in a 60000+ crowd. Exciting times! Another great idea for a post, I could have been at that game unfortunately my memory is not that good but then again I usually can’t remember who we played two weeks ago. Haha, someone actually read the shite I wrote! So if, Graham was 11, Kennedy 10, Big Raddy 9, Geordie Armstrong 7, it must be Eddie Kelly number 8? Unless it’s Radford or Graham! Is number 8 George Graham in this one? Wow Raddy – it’s amazing how a simple picture can conjure up such incredible memories! My football memories of yesteryear are not quiet as romantic. Leather balls with leather lacing that when wet and muddy could sprain an ankle or give you a concussion. Ankle high leather boots laced up high and then around the ankle, weaponized with studs nailed in the soles with the nail heads strategically exposed. The wetter the day the heavier the boots got, sapping ones energy. Muddy pitches full of deep divots, that could, and did break ankles and rip knees apart. Dressing rooms with no heating, seating or running water. Toilets that were disgusting and stank to high heaven. But – I still played every week and went to Highbury every Saturday regardless of the conditions – and loved every minute. Today we have lost our “footballers” and they have been substituted with “egos”. Mmmmm, yes, at first I thought it was Radford by the shape of the head but the number 8 threw me, doesn’t look like Graham, must be Kelly as you say. Ahh, just seen the 2.15. Number 8 definitely Graham in that one. Who was the first non British player to play in England? 1908, Max Seeburg, a German, playing for Tottenham. I just love looking at the old pictures of the ground and surrounding area. Having grown up there I get very nostalgic and the memories come flooding back. Thanks Chas that was a surprise as I thought it was a lot later. The scheduling of matches really needs to be reviewed. We have a a 15 day period with no games (Oct 7 to 22) followed by 5 games in 13 days (Oct 22 to Nov 3). I was there too. But the thing that struck me was that, despite the fact that it was literally pennies to stand on the terraces and that we had only just won the double, there were still only 40,000 present in a stadium that took 50% more than that. My ability to remember song lyrics from the 50/60s far exceeds my ability to remember why I just walked into the kitchen? As far as crowd sizes go, wasn’t that the nature of the game in those days? If you could just turn up on the day and pay, then that’s what you did, all depending on the oppo, the wife, the weather etc. Big teams would pull big crowds to Highbury. Man U would be up in the 50 thousands attendance-wise and mediocre opposition only high 20s. 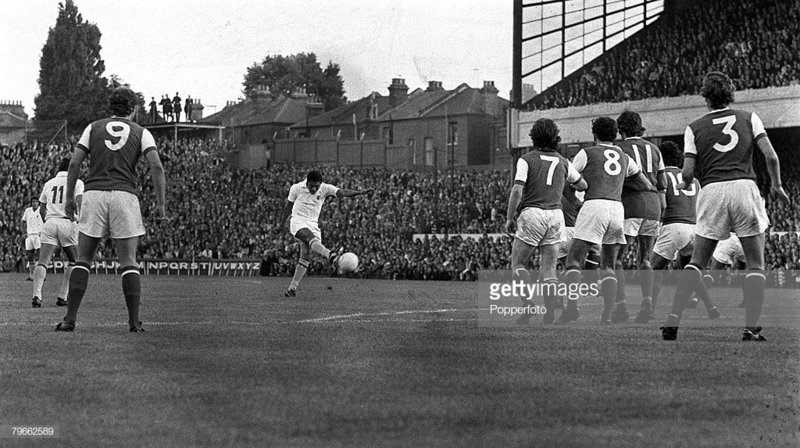 So, picture one 1971 Arse v Leicester and, although the hair still doesn’t look right, No8 must be Kelly. Good fun! But none the wiser me! Picture three. If that’s GG8. Whose that at 11? Taller than Gorgeous George? Jeff Blockley? Peter Simpson? 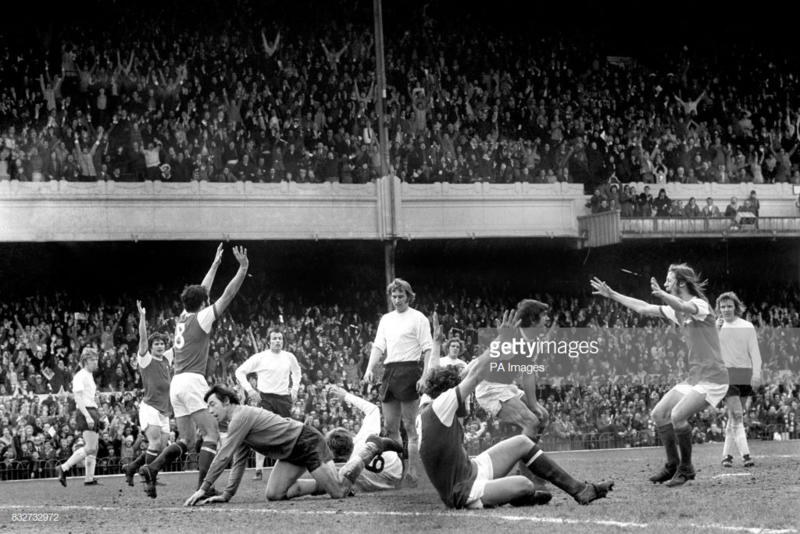 Picture 2 is Arsenal v Stoke 1st May 1971. GG8 has arms aloft and Eddie Kelly is celebrating with Charlie, Raddy on the deck. In picture 3 I reckon 11 is Peter Simpson. Getty Images has a search facility. Armenia must be Mkhitaryan plus 10 binmen. At least the Monday game gives those playing on the 16th (including Terrier) a few extra days rest. ha ha ha, that’s a brillliant idea.